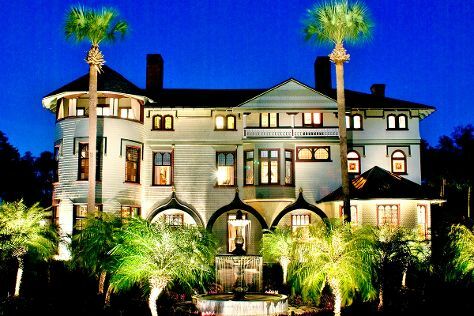 You'll discover tucked-away gems like Stetson Mansion and Daytona International Speedway. You'll find plenty of places to visit near Orlando: Crystal River (Stand-Up Paddleboarding & Scuba & Snorkeling), Arts on Douglas (in New Smyrna Beach) and Ponce de Leon Inlet Lighthouse & Museum (in Ponce Inlet). Pack the 28th (Tue) with family-friendly diversions at Walt Disney World Resort. Pack the 31st (Fri) with family-friendly diversions at Universal's Islands of Adventure. The adventure continues: get in on the family fun at Universal Orlando Resort, stroll through Beach at Daytona Beach, make an unforgettable trip to Happily Ever After Fireworks, and revel in the low prices at Orlando Premium Outlets - Vineland Avenue. To see maps, where to stay, photos, and other tourist information, read our Orlando trip planning website . Washington DC to Orlando is an approximately 14-hour car ride. You can also take a train; or take a bus. Plan for much warmer temperatures traveling from Washington DC in January, with highs in Orlando at 71°F and lows at 52°F. Wrap up your sightseeing on the 31st (Fri) early enough to drive to Philadelphia. On the 1st (Sat), admire the masterpieces at Philadelphia Museum of Art and then see a show at Longwood Gardens. Get ready for a full day of sightseeing on the next day: contemplate the long history of Liberty Bell Center, admire the masterpieces at Barnes Foundation, then get engrossed in the history at Eastern State Penitentiary, and finally hunt for treasures at Reading Terminal Market. To find photos, reviews, more things to do, and tourist information, go to the Philadelphia trip builder app . You can drive from Orlando to Philadelphia in 16.5 hours. Alternatively, you can take a train; or take a bus. In February, Philadelphia is much colder than Orlando - with highs of 44°F and lows of 29°F. Finish your sightseeing early on the 2nd (Sun) to allow enough time to take a train back home.